IMMACULATE WHITELAND WOODS CARRIAGE HOME! 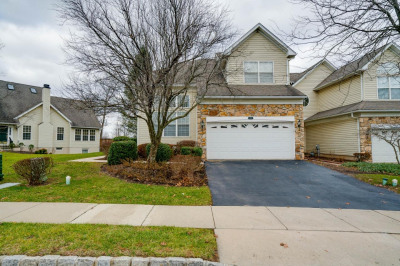 Enjoy low maintenance living in this sunlit 3 bedroom 2.5 bath home which features an open floor plan with hardwood floors throughout the main level as well as crown moulding and recessed lighting in many areas. The main level features a two story foyer, a large dining room, a two story living room with a wall of windows, and a large, open kitchen with breakfast nook and family room with gas fireplace. The kitchen has plenty of cabinet and work space, 42 inch cabinets, corian counter tops, a pantry, ceramic backsplash, and stainless appliances. There is also a powder room and laundry room on the first floor with easy access to a 2 car garage. From the family room there is access to a deck overlooking a private yard. Upstairs there are two generous sized bedrooms and a hall bath with double sinks. There is also a large master suite - the master bedroom has a large walk in closet and the master bath features a jacuzzi tub and double sinks. The finished lower level adds an additional 650 square feet of living space not included in square footage - there is a large area that can be used as a den or play room as well as an additional finished room which would be ideal for an office or 4th bedroom. Turnkey, you can move right in to this beautiful home . 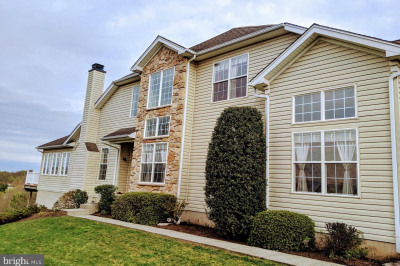 The HOA covers all exterior maintenance, lawncare, trash and snow removal and also offers top notch amenities including community pool, tennis courts, walking trail, clubhouse, fitness center. 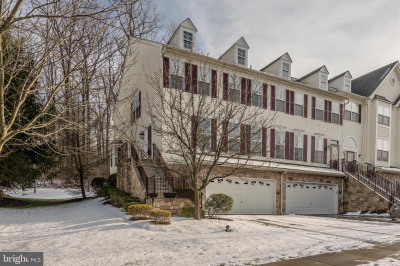 Located in West Chester School District and just minutes from both the Exton and Whitford Train Station, major transportation routes, shopping, movies and restaurants- you cannot beat this location! A one year AHS home warranty is included with purchase.